Professor Annette Nellen will launch the fall 2016 University Scholar Series with a lecture about her research on tax policy and reform, on Wednesday, Sept. 28, from noon to 1 p.m. in the Dr. Martin Luther King, Jr. Library, Room 225/229. The event is free and open to the public. Nellen, a professor in the Lucas College and Graduate School of Business master of science taxation (MST) program, will discuss federal, California and multistate tax issues. She is particularly interested in how to help tax systems follow principles of good policy while addressing the ways people live and do business in an ever-evolving economy. She chaired a task force that developed a set of principles of good tax policy that is still actively used by AICPA and others today. The group advocates for simplifying the income tax rate structure, consolidating education tax incentives, eliminating temporary provisions that cause uncertainty for taxpayers, retaining the cash method basis for accounting and making the tax system (including retirement plan administration) friendlier for small businesses. In addition to that work, she also became involved in Joint Venture: Silicon Valley while they studied emerging e-commerce in the mid-1990s. She was a fellow at the New American Foundation from 2006-2008 and publishes a blog regularly. She often shares the articles she writes for the AICPA Tax Insider with her students and helps the MST students develop ideas for a student-run, online tax journal. 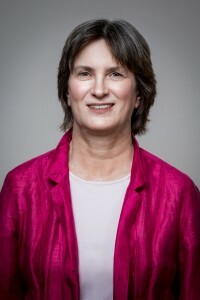 Nellen is an author and editor of the Southwestern Federal Taxation textbook series and vice chairchair-electct) of the AICPA’s Tax Executive Committee. She also participates in SJSU’s Faculty Experts program as a resource for media outlets when they cover tax-related news. The University Scholar Series is sponsored by the Office of the Provost, the University Library and the Spartan Bookstore. Other speakers in the series are Associate Professor Lionel Cheruzel, who will present his work on light-driven biocatalysts to meet the demand of green and sustainable synthesis of pharmaceuticals, fragrances and fine chemicals, on Wednesday, Oct. 19, from noon to 1 p.m. in MLK 255/257; and Professor Susan Shillinglaw, who will present her scholarship on John Steinbeck’s works, on Wednesday, Nov. 16, from noon to 1 p.m. in MLK 255/257. Light refreshments will be served at each lecture. 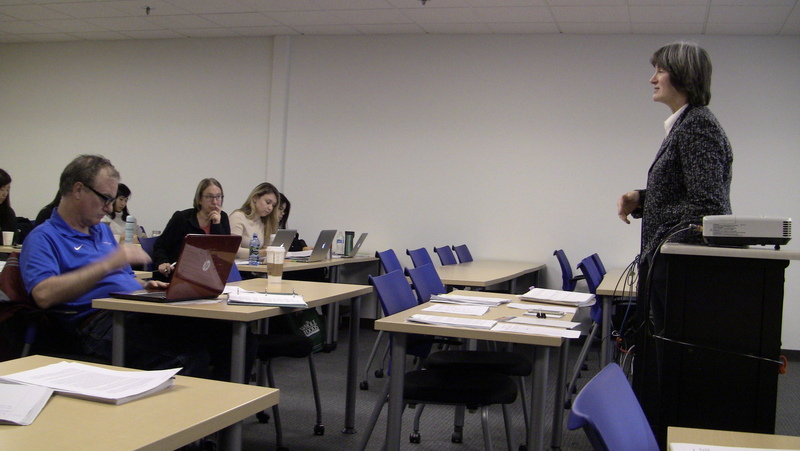 Professor Annette Nellen engages with students in a master’s of science taxation course.